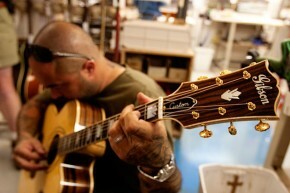 Gear Vault » featured » Guitars » Relic Guitars: Mojo or Mofo? One of the most divisive, hot-button issues in the guitar community is the ever-growing popularity of instruments that have been given the ‘relic’ treatment. First brought to market by Fender in the 1990’s, relics are pre-aged guitars, made to look old, beat up, and rusted out in the same way that real vintage guitars often are. Finishes are dinged and damaged, hardware is tarnished, and faux cigarette burns are even found, straight from the factory. 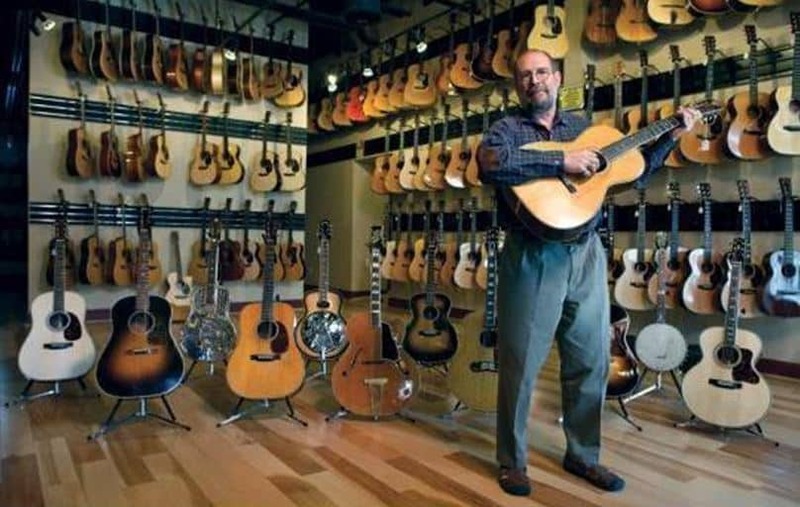 Many guitar makers offer this kind of thing these days, and it is easy to see why: the price of actual vintage instruments from the golden era. 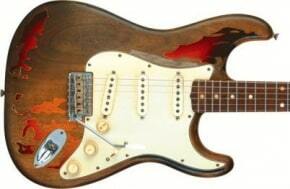 Everybody wants a cool, weathered 1963 Strat, but few can pay the 30 grand or so required to capture one. Relics are often seen as the next best thing. 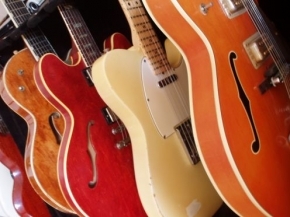 They are really an acknowledgement by long-time companies like Fender and Gibson that their main competition for new guitar sales are the guitars that they, themselves, made in decades past. Since many people want an aged Strat, Tele, or Les Paul, they figured they might as well give it to them. There is, however, a mounting backlash to these instruments. Some feel that relics are the ultimate in ‘poser’ guitars, aimed at making anyone look like a seasoned, gigging, veteran player whether they are or not. Stevie Ray’s Stratocaster got to the condition it was in by countless nights on stage, but now a guitar in similar distressed condition can be ordered brand new from Fender Custom Shop and spares players the bother of actually playing gigs. This tends to rub those among us who are very experienced players the wrong way, especially when the relic in question is in the hands of a middle-aged newbie guitarist who can’t yet play a song all the way through. Others question the ‘older is better’ mentality and see relics as the equivalent of buying a new car that is already beat up-looking and rusty. Love them or hate them, relic guitars are probably going to be around for a long time. They have an appeal that some folks just can’t resist, and that is evident by the amount of them out there. 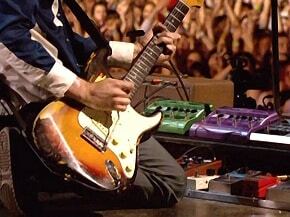 Also, underneath all the phony ‘mojo’ is usually the best straight-up vintage style guitar a company like Fender makes. It really is all about a customer’s perception of them: are they a tool to make the green seem less so, or are they an affordable alternative to a guitar that may just require a home equity loan to purchase which is, of course, too valuable to gig with? Each of us has to make that call for ourselves but one thing is certain: if all you can dream of is an axe that looks like it was dragged behind a dump truck on the way to the guitar shop, there is no shortage of possible candidates to consider. 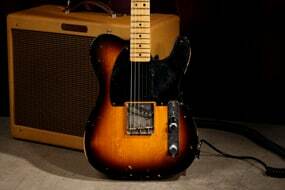 Last month my friend & I who have played for many years,decided to go to our Local Guitar Center.He was searching for a Tele.We came upon a rack of Relics & he just looked at em for a long time.Looking at the price tag then at the body.”Why are the new teles priced about what these beat up ones are priced “?I told him they are made to look that way at the factory, but are basically brand new guitars.He was totally non-plussed that people would pay good money for a beat-to-hell guitar. I dont play lead guitar I play bass but personaly Personaly I dont mind the batterd up look well on a bass any way because the neck is long and the body is big it dose get bashed around a bit well mine dose any way ha ha. It is good in way for bassists becuase if you bash it about it wont really matter as much becuse you wont really notice. but I can understand why some guitarist’s dont like them because lets be honest guitarist’s have more of a reputation then us bass players ha ha so you dont want it to make it look like. yea look at me Iv been on the road for years man look at my guitar its so old but it’s actully a paint job ha ha. so my view is I like them to a point but if pepole a trying to show off just dont do it some pepole like it and some pepole do it to pose if you want it batterd just wait and dont keep buying and trading in guitar’s just keep the one and be patient.